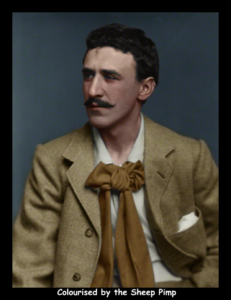 When we visited the Terracotta Army in October someone suggested the Charles Rennie Mackintosh exhibition… Well, we do try and satisfy our members desires and now, fans of Charles Rennie Mackintosh’s work are in for a treat. We are going by coach to an exhibition which spans his lifetime at the Walker Art Gallery, Liverpool on Tuesday April 9th. Cost £20. There will be around 250 objects on display from Museums and Archives and public and private collections. The objects will cover a full spectrum of media which, as well as the famous stained glass includes metalwork, furniture, ceramics, architecture, mosaics, stenciling and embroidery. Also included are books, graphics and interiors. In order to maximize your experience we have arranged a BOGOF, at the same time there is an exhibition of Leonardo De Vinci’s drawings (which happens to be free!). Born and brought up in Glasgow, Charles was a Scottish architect, designer, water colourist and artist. His work influenced the development of the Art Nouveau movement. He lived most of his life in Glasgow and it appears that the trade links between the Clyde and Japan led to Mackintosh absorbing the influences of Japanese art. He admired their simple forms, economy of style and use of texture and light. Around the same time ‘modernist ideas ‘ were emerging in Europe and although he became known as a pioneer of the movement he eschewed those parts that were bleak and utilitarian and blended Art Nouveau with the simple style of Japanese form to produce the iconic style we are familiar with today. 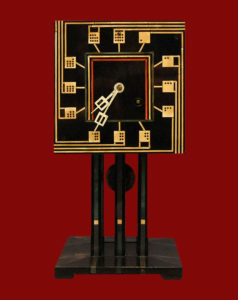 This was a contrast between strong right angles and floral inspired decorative motifs with subtle curves, for example, the Mackintosh Rose motif. He also referenced Scottish architecture in his work. The project that really helped to seal his international reputation was the Glasgow School of Art. Sadly recently damaged by fire in 2014 and sadly almost destroyed again in 2018. 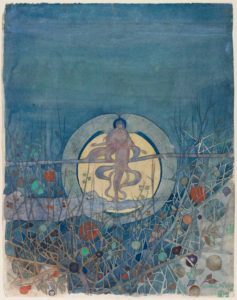 The Glasgow Style, produced by teachers, alumni and students over a thirty year period from 1890 was also influential in making Glasgow the birthplace of the only Art Nouveau “movement” in the UK. 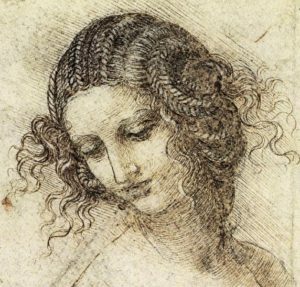 The Royal Collections Trust has organised nationwide exhibitions of 144 of Leonardo’s greatest drawings that will be brought together in May at The Queen’s Gallery Buckingham Palace to celebrate the 500th Anniversary of his death. This is the largest exhibition of his work in over 65 years. For a few months this year the Walker Art Gallery is amongst 12 simultaneous exhibitions hosting 12 of these drawings. In addition, new information gathered via scientific research using non invasive techniques will help to inform us of Leonardo’s creative process and working practices. There will be chance to visit other museums eg the Maritime Museum or the World Museum again or other places in the afternoon. Liverpool One, Strawberry Fields or The Cavern anyone? Places will need to be paid for by February 20th. Further arrangements will be distributed later.